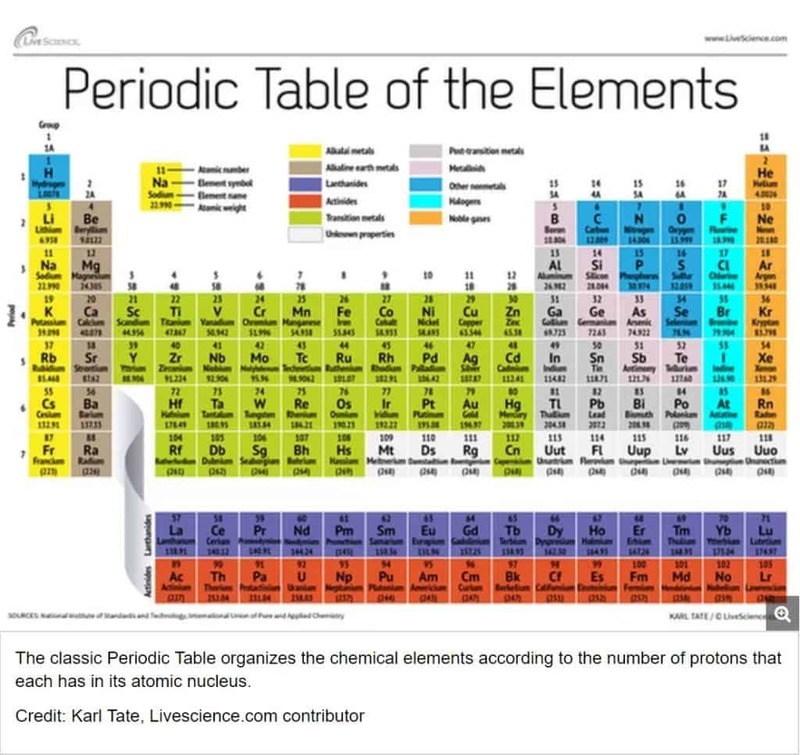 At the end of this periodic table and reactivity lesson plan, students will be able to identify that valence electrons determine an atom’s chemical properties, including reactivity and interpret the arrangement of the periodic table to explain how properties are used to classify elements (including groups and periods). Each lesson is designed using the 5E method of instruction to ensure maximum comprehension by the students. 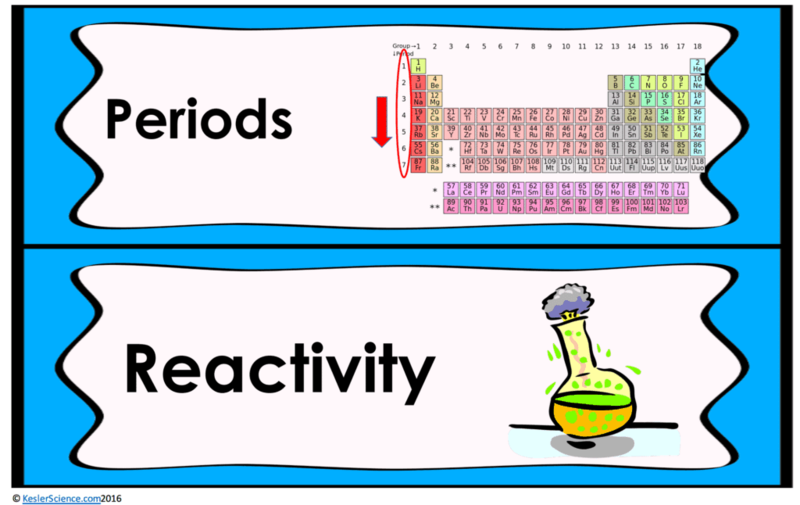 The following post will walk you through each of the steps and activities from the periodic table and reactivity lesson plan. Give the students a periodic table. On the board, list everything students already know about the periodic table. Explain they will be looking at trends on the periodic table, one of which is the reactivity of elements. Discuss reactivity. A chemical that reacts easily with other substances is considered to be highly reactive. Explain that the most reactive elements are found in group 1 and they become more reactive as you go down the list. Read down the list to see if anyone recognizes these elements. Have them follow elements on the periodic table as the reactive properties of each element displayed. The teacher will help to clear any misconceptions about periodic table and reactivity. Some major misconceptions are students don’t understand that all things are made up of combinations of these elements and students don’t understand that valence electrons are what determines an elements reactivity. 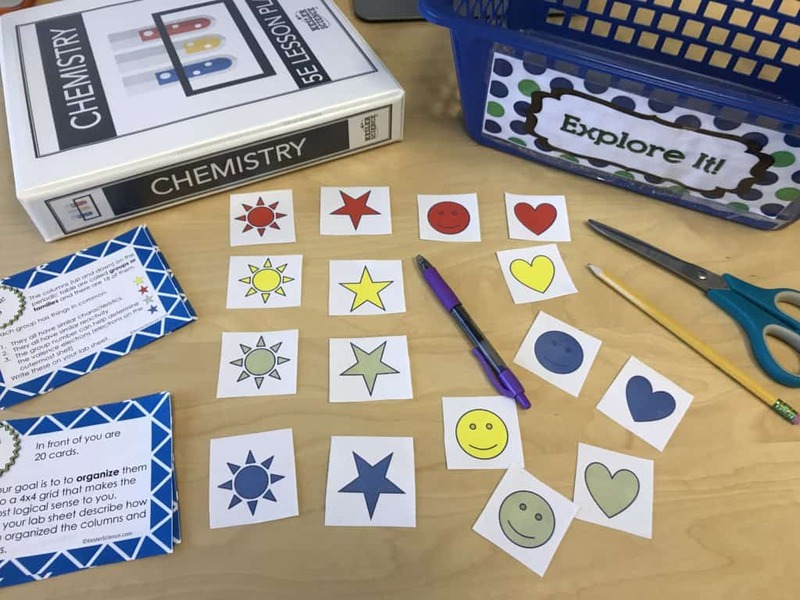 This student-centered station lab is set up so students can begin to explore the periodic table and reactivity. 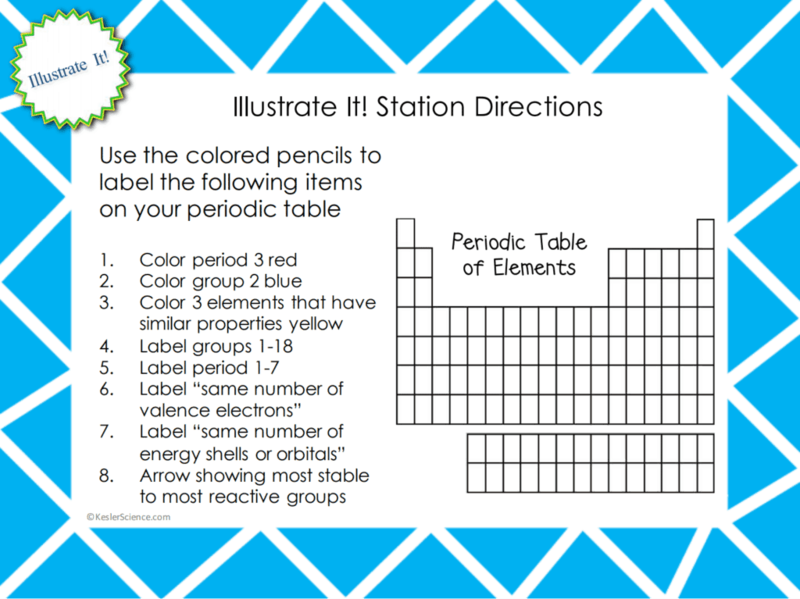 Four of the stations are considered input stations where students are learning new information about the periodic table and reactivity and four of the stations are output stations where students will be demonstrating their mastery of the input stations. Each of the stations is differentiated to challenge students using a different learning style. You can read more about how I set up the station labs here. Students will be working in pairs to better understand how elements are arranged on the periodic table. Students will have cards that they will organize to give them a better visual as to what it means to be in a group or period. Students will interpret this idea as a way to show reactivity and how elements share the same properties. 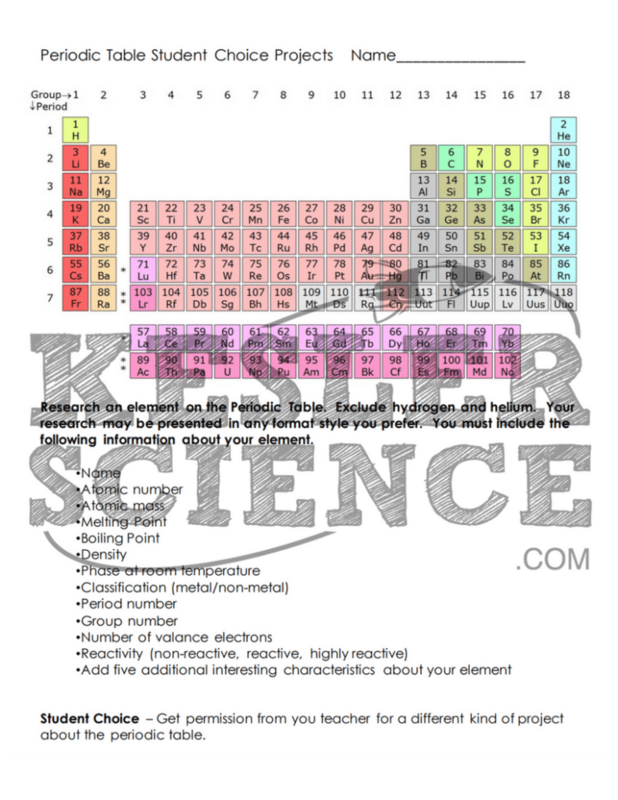 Students will finally take this information and apply it to an actual periodic table. At this station, students will be watching a seven-minute video explaining the organization of the periodic table. 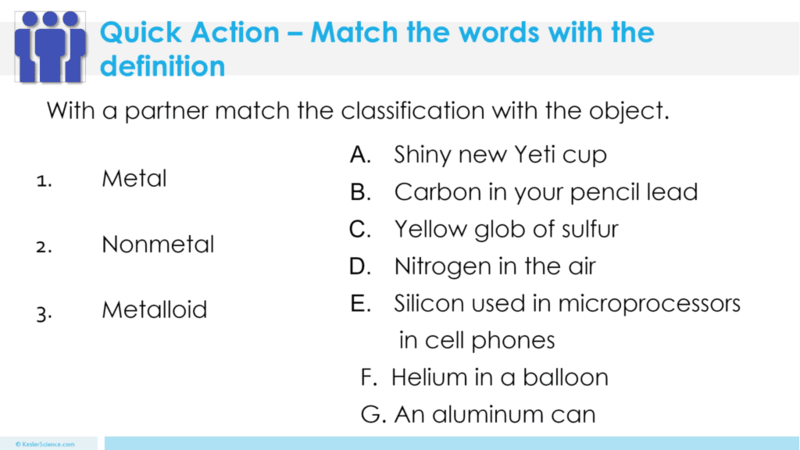 Students will then answer questions related to the video and record their answers on their lab station sheet. For example: What does the atomic number represent on the periodic table? Which part of the atom allows one atom to react with another one? What is true about elements that are in the same column (group/family)? The research station will allow students to conduct research about the construction and organization of the periodic table. Students will learn about periods, groups, and facts about elements. Students will then be directed to answer a few questions based on the research they conducted. This station will provide students with a one page reading about the periodic table. In the reading, students will discover the how the periodic table is organized. Students will know what the vertical columns are called as well as the horizontal rows. There are 4 follow-up questions that the students will answer to show reading comprehension of the subject. The assess it station is where students will go to prove mastery over the concepts they learned in the lab. The questions are set up in a standardized format with multiple choice answers. Some questions include: Which is not true about all of these elements? Which element has 2 valence electrons and is in period 4? Which two elements share similar properties? Which element is the most reactive? Students who can answer open-ended questions about the lab truly understand the concepts that are being taught. 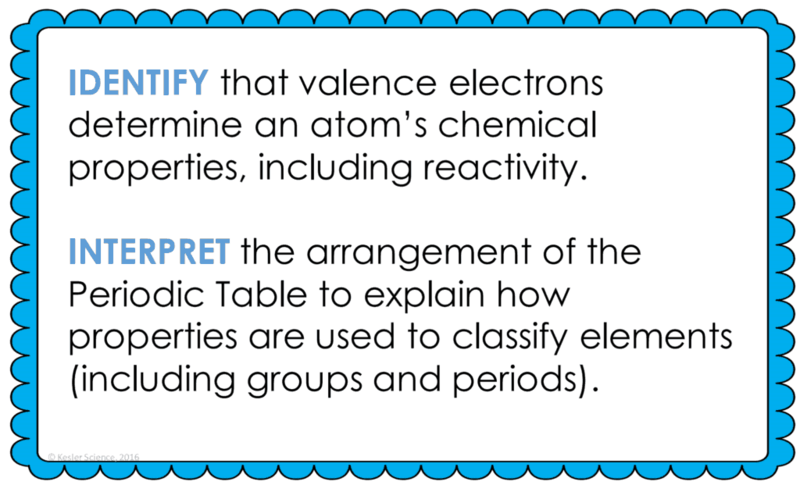 At this station, the students will be answering three task cards: Explain what a valence electron is. How are periods and groups different from each other? How can you determine if elements have the same chemical properties? Your visual students will love this station. 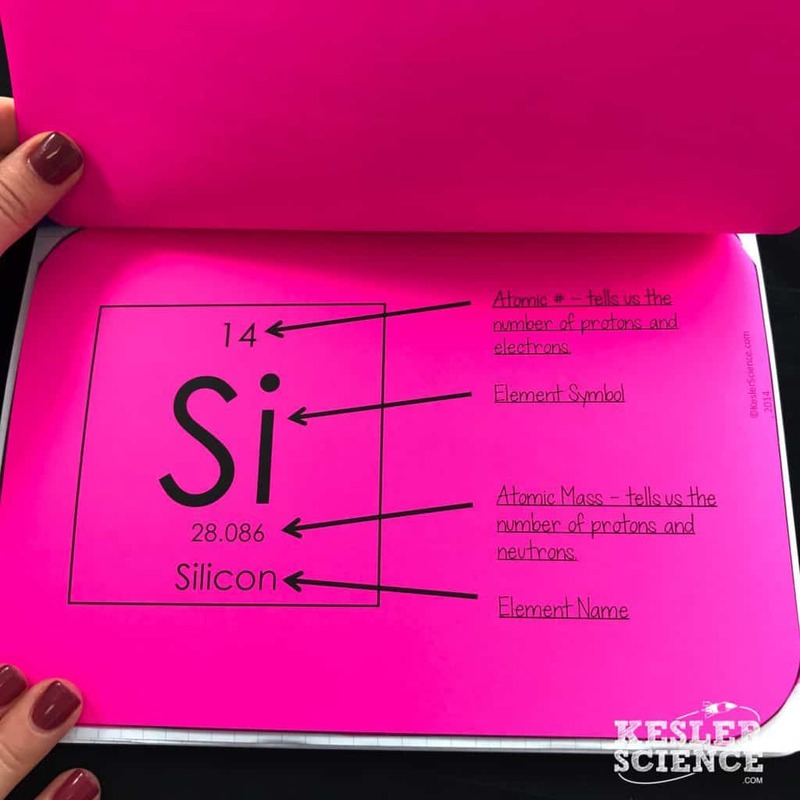 Students will color in sections of a periodic table. 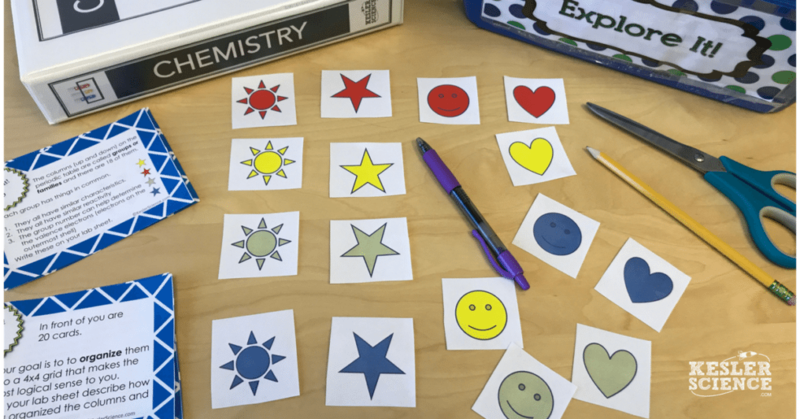 Students will color in certain periods and groups to show that they understand how the periodic table is arranged. 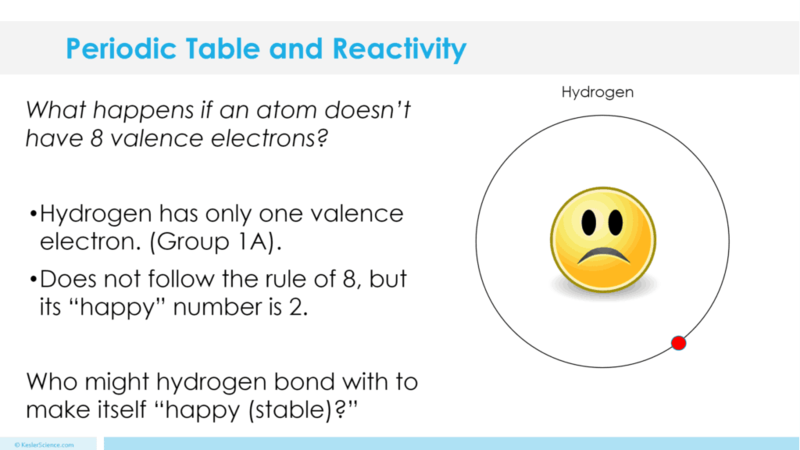 Students will also label certain groups, periods, and where to find elements that share the same number of valence electrons. The organize it station allows your students to place cards under other cards with the names of two certain elements. These cards will describe information pertaining to elements that can be interpreted by their location on the periodic table.